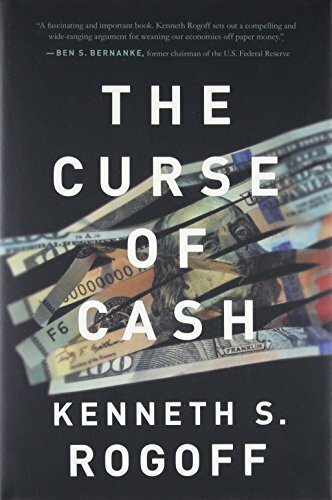 Kenneth Rogoff would sharply disagree with Peale, a character in the 1915 novel It Pays to Advertise, who said that the most beautiful word in the English language is “cash.” For Rogoff, a distinguished monetary economist (and chess grandmaster) who teaches at Harvard, cash, especially in large denominations, ought to be eliminated. One word reverberates throughout this proposal: “government.” For Rogoff, the government must combat nefarious characters in the “underground economy,” not to mention tax cheats, who transact business in paper money. Think of all the revenue the government has lost, owing to the selfishness of these miscreants! But could we not instead deal with this problem by ending the drug war? In a legal market, could the drug cartels survive? Rogoff has in part anticipated this response, but he rejects it summarily. “Obviously there are other ways of reducing drug-related crime. A simple one would be to legalize marijuana … [but] hard drugs would remain problematic.” The thought that the drug war should be ended entirely has not entered his head. And this is not all that concerns Rogoff. Cash transactions enable people to avoid paying taxes. “The largest holdings and use of cash in the domestic underground economy likely derive from residents of all types … who are broadly engaged in legal activities but who are avoiding taxes, regulations, or employment restrictions … the tax gap is sufficiently huge that if eliminating cash can close it by as little as, say, 10 percent, the revenue gains would be quite substantial … the gains would be on the order of $50 billion from federal taxes alone and perhaps another $20 billion for state and local taxes.” Rogoff recognizes that many people do not want tax regulations to be “rigidly enforced” but responds that tax evasion creates a “horizontal equity” problem: if you evade your taxes, others, who do not, will have to pay more. But once again, the libertarian response does not occur to him: taxes are unjust exactions that violate people’s rights. Incredibly, he fails to realize that many of us do not want the government to monitor what we are doing. As long as our neighbors cannot snoop on us, everything is fine. Where liberty is concerned, Rogoff just does not “get it.” He points that a critic of his proposals quoted against him Dostoevsky’s remark, “Money is coined liberty,” but notes that the remark in The House of the Dead describes life in prison. “To draw an analogy between life in a Tsarist prison and life in the modern liberal state as a defense of large-denomination notes borders on the absurd.” The modern liberal state is your friend; why worry? What we have discussed so far is only Rogoff ’s first argument for the abolition of cash: he has another as well. If the economy is in a recession, the monetary authorities may need to “turbocharge” the economy by pushing interest rates down. Doing so, they hope, will stimulate production and increase aggregate demand. But at present an obstacle blocks these plans. The money rate of interest has already fallen to zero. Further reductions require negative rates. But if these are imposed, depositors will withdraw their funds. Why keep money in the bank if part of your money will be confiscated? Rogoff describes the problem of the “zero bound constraint” in this way: “paper currency can be thought of as a zero-interest-rate bond. … As long as people have the choice of paper money, they are not going to be willing to accept an interest rate that is significantly lower on any kind of bond … the zero bound has essentially crippled monetary policy across the advanced world for much of the past 8 years since the financial crash of 2008. If unconstrained negative rate policy was possible … central banks would never ‘run out of bullets’ (i.e., room to keep cutting interest rates)” (p. 5). If paper money is eliminated, depositors will no longer be able to withdraw their money. What could be simpler? It is disappointing that Rogoff fails to mention Austrian arguments that stimulating aggregate demand through monetary expansion is not the appropriate response to recession. He has read Rothbard and cites him on paper money in the colonial period (p. 235, note 26). But the Austrian theory of the business cycle is notwithin his range of vision. He does, though, address an argument by Milton Friedman that is highly relevant to stabilization policy. “Friedman perfectly well understood that monetary policy could be a potent tool for economic stabilization, but he argued that central banks were so incompetent and so prone to inflationary finance that life would be simpler and better if the whole concept of Keynesian activist monetary policy was simply forgotten” (p. 188). He replies that Friedman’s alternative of limited monetary expansion according to a fixed rule has not worked. Friedman thought that there was a fixed relationship between the quantity of money and prices, but this has not always proved to be the case. Rogoff may be right, but he has not responded to Freidman’s argument against central bank discretion. The fact, if it is one, that a particular alternative to discretionary policy fails is irrelevant. If someone argues that policy A will fail, claiming that alternative B is no better is hardly a response. Regardless of whether Rogoff ’s way of dealing with the zero bound constraint is economically sound, though, is it not unfair on its face? If you deposit money in a bank, why should it be subject in part to confiscation? Rogoff answers that those who press this objection are victims of a “money illusion”: “Many people will likely regard negative interest rates as a violation of the trust citizens place in their government. … To see negative nominal interest rates as unholy but moderate inflation as just bad is to suffer what economists call ‘money illusion’ ” (emphasis in original). But why not take this point to be an argument against government-mandated inflation rather than, as Rogoff wishes, a defense of negative interest rates? Rogoff complains of the “zero bound constraint,” but he is himself bound by statist assumptions.